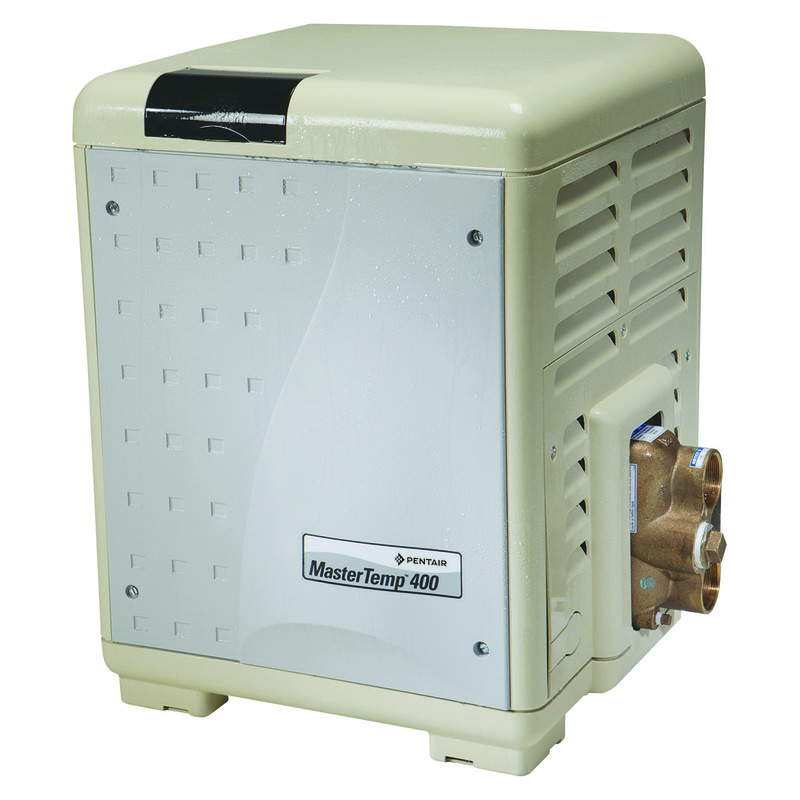 MasterTemp heaters offer all the efficiency, convenience and reliability features you want in a pool heater, plus a lot more. As easy to use as your home heating system, plus, user-friendly indicator lights make system operation and monitoring a snap. The compact design and super quiet operation won’t intrude on your poolside leisure time. Heavy-duty (HD) unit with cupro-nickel exchanger stands up to the harshest of applications, like low pH, high flow or heavy use. Note: The MasterTemp Heater is certified for Low NOx emissions. * Standard Copper Heat Exchanger 84% Efficient.